A Page Is Turned: Memory Keeping. I am so behind on my blog books, photo albums for the boys, and general memory keeping. Thank goodness for this blog and the "records" I've kept on here. 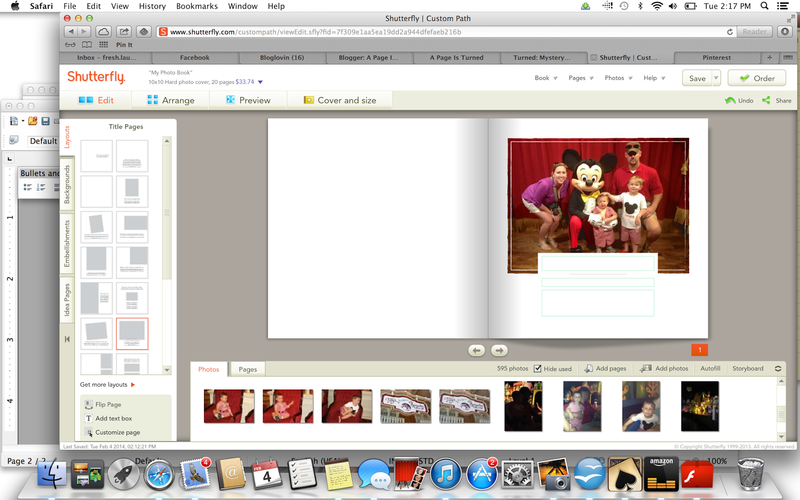 I use Shutterfly for almost all of my memory keeping needs. They have pretty decent prices AND the added bonus of sales, promotions, and coupon codes that are happening all the time. My problem is that I don't have a stash of things in my "done" box on Shutterfly so I wind up missing all of the good things. How do you keep up with all of your photos? I need to reorganize all of mine. I'm going to be playing catch up over the next few weeks and may share with you how I organize our memories - photos, photo album, my blog, etc. I'd love to hear from you how you keep up with all of yours! Do you read Mix and Match Mama? She had a good post on organizing her pictures recently and also her childrens sleep habits. James was cute in church Sunday!